Take a step back in time where North Carolina history began as you plan your day of adventures at Tryon Palace at New Bern. This is an experience that everyone will enjoy with seven major buildings, multiple galleries and 16 acres of garden to explore. A majority of the tours are guided throughout the property, but allow time to be encompassed by the stunning gardens the property boasts. Royal Governor William Tryon built this stunning Georgian-style structure that served as the first permanent capitol of North Carolina. This historical gem was the site of the first sessions of the general assembly for the state of North Carolina. The Palace went through an extreme 30-year restoration after it was destroyed in a fire in 1798. The restoration can attest to the strong community and effort to preserve the history of North Carolina. Governor Tryon made a detailed inventory of his possessions which assisted in furnishing the home to reflect the time period. Journey back in time as a costumed interpreter guides you through a tour of the Palace library, Council Chamber, cellar and more. The Kitchen Office is a time capsule of 1770 conveniences, that was built by Palace architect John Hawks’. Explore the lives of colonial servants and enslaved workers, in addition to daily demonstrations of colonial cooking. The Stable Office was the only remaining part of the original palace that was left unharmed from the fire in 1798. In addition to being home to the Governor’s horses, the Stable Office was also used for housing staff, and later as a mission chapel and school. The Palace boasts 16 acres of stunning gardens designed to represent the formal garden style of 18th century Britain. 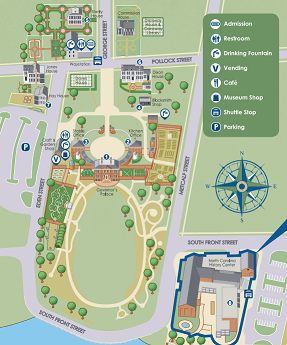 Visitors are invited to explore the meandering paths of the Palace’s various gardens including the Latham Memorial Garden, Kitchen Garden and more. From daffodils and tulips in the spring to an elaborate display of mums in the fall, these seasonal displays are open for exploration throughout the year. Surrounding the Tryon Palace are several historic homes and buildings that are available by guided tour. The Dixon House is a stunning piece of architecture built in the early 18th century that was home to a local tailor, merchant and politician. 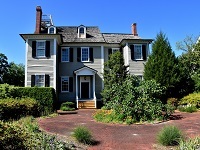 The Stanly House reflects the life of its prominent owner, whose merchant ships raided British vessels to aid the American cause during the Revolutionary War. The Hay House was built in the 19th century and is modest of the other homes, this building is only for special events. The New Bern Academy Museum, located in the heart of New Bern’s historic residential district, was originally a school house that also served as a hospital during the Civil War. The museum is now home to exhibits and artifacts that tell the story of the Battle of New Bern and much more. The Tryon Palace offers the perfect location to hold the fairy tale wedding that you’ve always dreamed of. 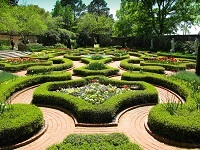 With numerous magnificent gardens to choose from, it’s the perfect setting for an outdoor wedding in New Bern, NC. This exceptional event space is able to accommodate the most intimate of weddings or weddings with up to 4,000 guests. With the large variety of spaces and expansive grounds, this venue is also ideal for corporate events.